We have arrived at the Baikonur Cosmodrome in Kazakhstan. We flew on an Antonov cargo aircraft from Toulouse, France along with several containers of ground support equipment we need to prepare MetOp-B for launch on 23 May. 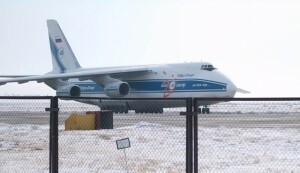 The shipment from France to Kazakhstan was made by three Antonov cargo aircraft. 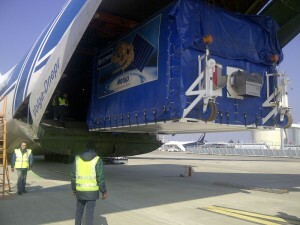 The first carried 12 containers of equipment needed to prepare the satellite for launch, the second carried the MetOp-B satellite (the payload module and service module) along with another 6 containers and the third flight carried MetOp-B’s solar array and 10 more containers. The journey hasn’t been easy as the weather caused delays. 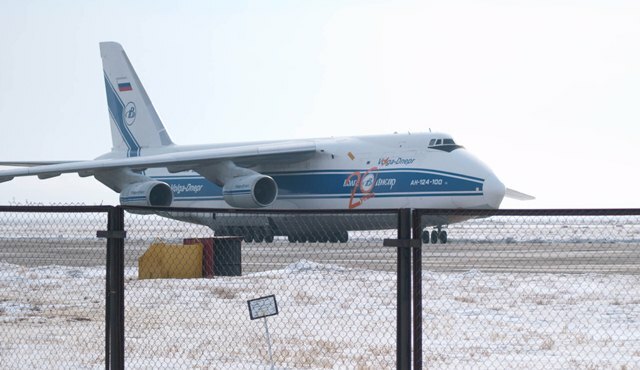 In fact, the satellite shipment was held up in Moscow for more than three days because of snow. MetOp-B will follow on from MetOp-A, which was launched in 2006, to provide essential data for weather predication and climate monitoring. 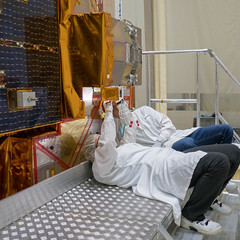 Since MetOp-A is still in service, the two satellites will fly in tandem. The series of MetOp satellites carry a host of sensitive instruments to measure a wide range of variables such as temperature and humidity, wind speed and direction over oceans, ozone and other atmospheric gases. The coming weeks will be spent integrating and testing this second MetOp satellite before it joins its Soyuz launcher that will take it into polar orbit.